Anto, 22 Jan 2011Just buy this X8 this morning. how can i know the adroid version in my X8 still donut or alrea... moreI have heard that there is a problem when receiving files via bluetooth if you are using android 1.6..But I have never experienced that as I upgraded my phone to 2.1 as soon as I got it..
Anto, 22 Jan 2011Just buy this X8 this morning. how can i know the adroid version in my X8 still donut or alrea... moreJust go to settings -> About phone..
and check the firmware version..
mac, 21 Jan 2011Tremendous Phone.why? can you take documents screenshot with this fixed focus camera ? tyson, 21 Jan 2011ei...gud day to evryone... ds phone s so amazing... mine was upgraded 2.1 yesterday. d only... morehi tyson how do you root the x8?? what do you mean? can it be upgraded to android 2.2? chiqui, 21 Jan 2011pls help me decide what to buy? Xperia 8 or Xperia X10 mini pro.do you need qwerty keypads and camera flash..? do you mine a 3mp camera than a 5mp..? if you don't and don't mind its camera.. its better to go for x8..
mine was upgraded 2.1 yesterday. d only prob n our x8 is the lack of ram..
pls help me decide what to buy? 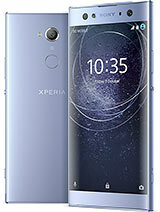 Xperia 8 or Xperia X10 mini pro. janine, 21 Jan 2011whats the name of app? pls share :(Its AppControl..
you can follow the link in the previous comments if you want to download..